LitChat will host an auction of signed books through Twitter on December 18, 2009 at 6 p.m. EST. All proceeds from auction will go to The Reading Tree, a charity that collects used books and recycles them for use in classrooms in poor communities. Download the auction catalog below to read about the many books generously donated by their authors. When you submit your donation, you must add in the comments box on the form that you participated in the #BAGG auction and include the title of the book you won. We must verify donations, so please forward a copy of your receipt, along with your shipping address to us at the following email address: twitchat@gmail.com. 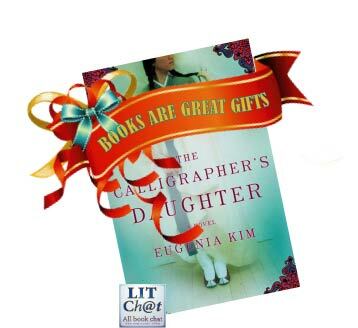 LitChat will confirm your donation and send your shipping information to the author of the book you won. Authors will sign and ship the books directly to the auction winners. A list of books to be auctioned is included in this catalog. On day of auction @LitChat will open with presentation of the first book. Each book will have an opening bid price based on the retail value of the book. Each book auction will run through Twitter for approximately 10 minutes. If interest in particular title stalls, bidding for that item may close early. If interest in particular title is heavy, bidding for that item may remain open until activity slows. Should any book not receive bids, they will be donated to The Reading Tree for placement through their global literacy efforts. All books will be mailed directly to auction winners from the author or publisher of the gift after donation has been cleared.